like yesterday, in fact...great for our static electricity experiment. Thank you, Everyone, for your movie and music suggestions! Some we've watched; some we haven't seen yet. Some we've listened to; some we haven't heard yet. So thank you! 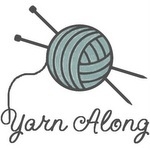 And thank you to Sew Mama Sew for hosting this Holiday giveaway. Love the greens, so pretty! We like to watch some of the classic movies with our kids, like My Fair Lady and Mr. Smith Goes to Washington. In order to be counted in the giveaway, simply suggest a good family-oriented movie recommendation (new or classic or foreign) or a music album in the comments below. I'm always looking for suggestions. Thanks! Oh...and leave an email in your comment so that I can reach you if you win. Only 1 comment per person/household please. Comments will close promptly on Friday, December 16th at 5pm PST (8pm EST). I'll post the winner by Sunday, December 18th. If no response after that time, a new winner will be chosen. 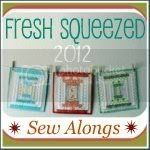 To see and participate in lots of other lovely giveaways, visit Sew Mama Sew! ~~~~ Comments closed! Thank you for the wonderful response.